It's that time of year when the nights turn cold and ponds start to freeze over. 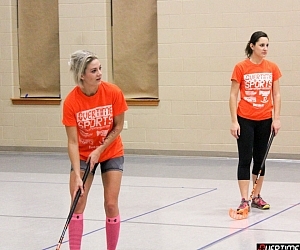 That sounds super cold which is why we play floor hockey inside. 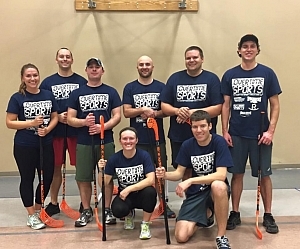 Floor Hockey starts Thursday November 17th at Hope Lutheran. Co-ed teams of 5 (roster minimum of 8 with 2 females on the court at all times) play in a 5 week season. As always, after a good sweat, join us for OTS drinks specials at our local sponsor bar provided by Cardinal Distrusting. Click here to register your team!